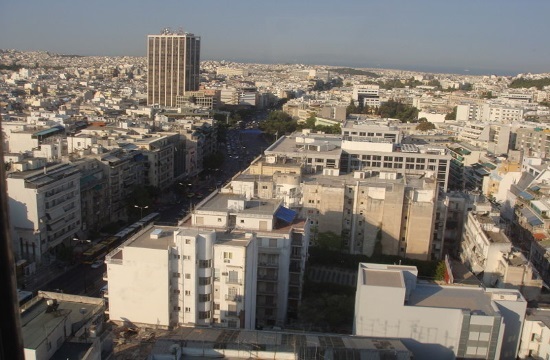 Fitch Ratings anticipates stability or a marginal increase in property prices in Greece over the next couple of years, ekathimerini.com reports. The ratings agency admits in an analysis that while the national economy’s fundamentals are displaying an improvement, the property market is not expected to benefit as much as it could because of the banking system’s limited capacity to finance stronger growth. Another significant factor hampering the recovery of the local property market is the high taxation on newly built houses (with a building permit issued after December 2005), as they incur a 24 percent value-added tax when sold (excluding main residences). The exception is properties in the center of Athens, where prices rose 1.2 percent in the third quarter of 2018 compared to the same period in 2017. This rise has been fueled by the increased activity of foreign investors due to the very low sale prices and the Golden Visa program which attracts investors from outside the European Union with the offer of a five-year residence permit on the condition that they invest at least 250,000 euros. Foreign investments have also sent rental rates soaring, forcing many locals away from the city center.